Last week, it was announced that music producer Antonio Marquis “L.A.” Reid is out as chairman of Sony’s Epic Records after six years. L.A. vaguely hinted about his departure from Epic on Twitter with an inspirational quote about not confusing a single defeat with a final defeat. It sounds like there might have been more than just a single defeat that lead to his departure. According to the New York Post, 60-year-old L.A. was fired after a female co-worker complained of several instances of sexual harassment. L.A. Reid has been married to his second wife Erica Reid since 2000. 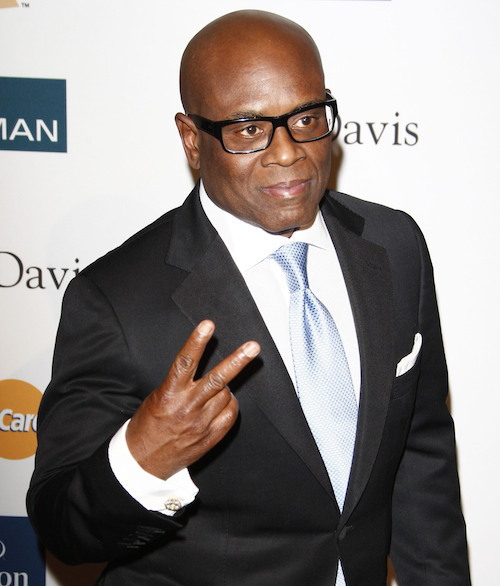 This isn’t the first time L.A. Reid has looked like a cheating creep. A few years ago, L.A.’s first wife Pebbles claimed L.A. had cheated on her with Chilli from TLC. Sony hasn’t commented on any of this, but a source close to the situation tells the Post that L.A. Reid’s recent firing had everything to do with the allegations. I don’t know if I should say I’m shocked by this news. My first introduction to L.A. Reid was through Pink’s video for Don’t Let Me Get Me, and I’ll be honest, even back then the guy seemed like he was one inappropriate chalkboard sketch away from a very long, very uncomfortable meeting with HR.